An interview with Dr. Alan Marble, president of Missouri Southern State University, and live coverage of the upcoming Joplin City Council meeting will be featured on KGCS-TV. The interview with Marble will be the focus of the “Newsmakers” interview program to air in the coming week. He discusses the start of the new academic year and shares news from the university. It will air at 5:30 and 9:30 p.m. Sunday, Aug. 27, through Wednesday, Aug. 30. It will also air at 5:30 a.m. Sunday, Sept. 2, on KOAM TV. The station will also provide live coverage of the Joplin City Council meeting at 6 p.m. Monday, Aug. 28, and will replay it at 7 p.m. Tuesday, Aug. 29. The agenda for the meeting includes a presentation from Missouri Southern regarding the old Joplin Public Library building downtown. 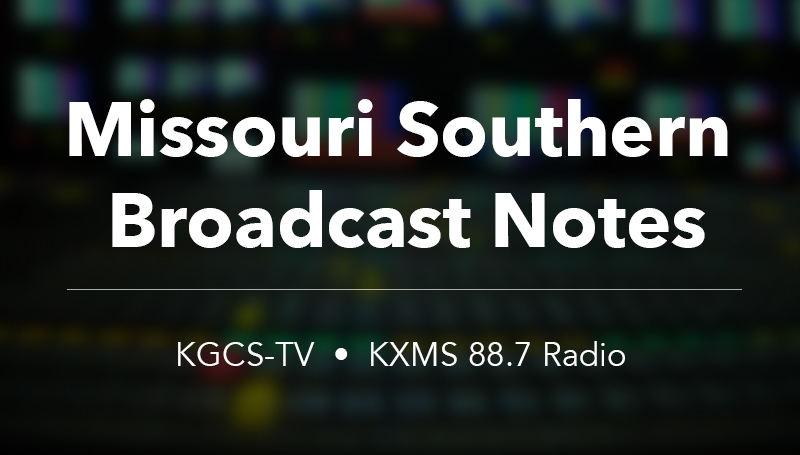 KGCS programming may be seen over the air on broadcast channel 22 and on regional cable television systems.